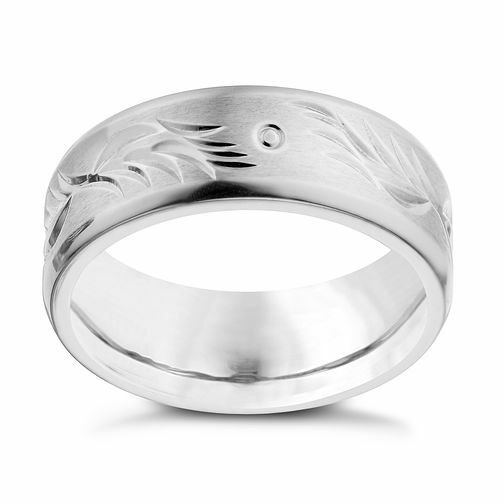 Crafted in bold and hardwearing titanium, this stylish ring is embossed with a simple leaf pattern and features matt and polished detailing. Perfect for effortless everyday style. Titanium Patterned Ring is rated 5.0 out of 5 by 3. Rated 5 out of 5 by Anonymous from brilliant Brought as a Christmas present for son, he picked it out and gave us his size and we ordered online. Absolutely lovely, couldn't be more pleased. Looks even better than the picture.